NBA forward known for his hard working nature; began his NBA career with the Indiana Pacers in 2009 and joined the Toronto Raptors in 2013. He played 4 years of college basketball at North Carolina, compiling a remarkable trophy case that includes a 2009 NCAA Championship. He won back-to-back Missouri state championships playing at Poplar Bluff High School. 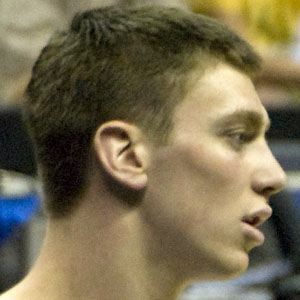 His brother Ben played college basketball at Notre Dame and joined Tyler on the Indiana Pacers in 2012. He played alongside Roy Hibbert on the Indiana Pacers from 2009 to 2013.